A comprehensive list of Scales and Standards for US outline modelling. US Shortline layout, using two "Inglenooks" back­to-back, with trackplan and photos. How to combine research with appealing ideas, with real & model photos and trackplan. Bavarian Lokalbahn layout, with trackplan and photos. 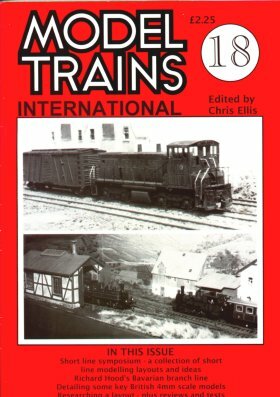 Ideas for suitable locos and stock for model Shortlines, with real & model photos.